Hey everyone, Tim here. It's been a while, I know, but I wanted to share the first trailer for Gemini Man. This movie was shot natively in 3D HFR, and I did a set visit a year ago. More on that at a later date, when we're closer to the film's release. For now let's enjoy the trailer. Directed by Ang Lee and starring Will Smith as an over-the-hill hitman that faces off against a younger clone of himself. 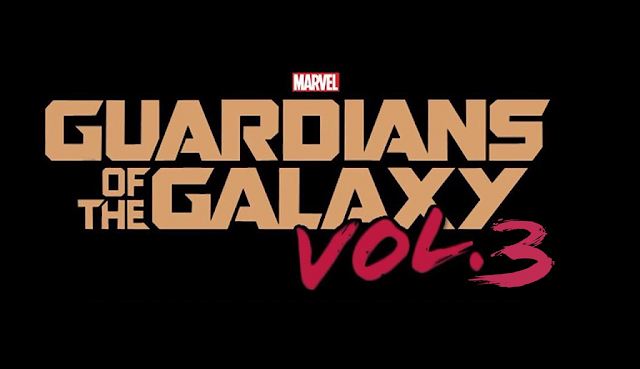 The movie also stars Clive Owen, Mary Elizabeth Winstead, and Benedict Wong. Should I mention that Will Smith also stars in the movie? I'll mention it again since he does both roles of the over-the-hill hitman and the younger clone thanks to some VFX wizardry. That trailer was great! Can't wait for the finished movie. The fantastic 3D team behind the movie is Demetri Portelli (Stereographer) and Ben Gervais (3D Systems Engineer). I can't go into details yet about the technology used for the 3D, but we'll have more to share on that later. The film is directed by Academy Award®-winning filmmaker Ang Lee and produced by renowned producers Jerry Bruckheimer, David Ellison, Dana Goldberg and Don Granger. Gemini Man hits 3D HFR screens October 11, 2019. I'm first in line for this thing! It's been a long time coming and I'm really looking forward to it. ALITA: BATTLE ANGEL launches on February 14, 2019. THE MEG Opens Wide And Takes Huge $44.5m Bite From Weekend Box Office! Of course it opened huge - Jason Statham is no slouch! Ok, the megalodon has something to do with it too. 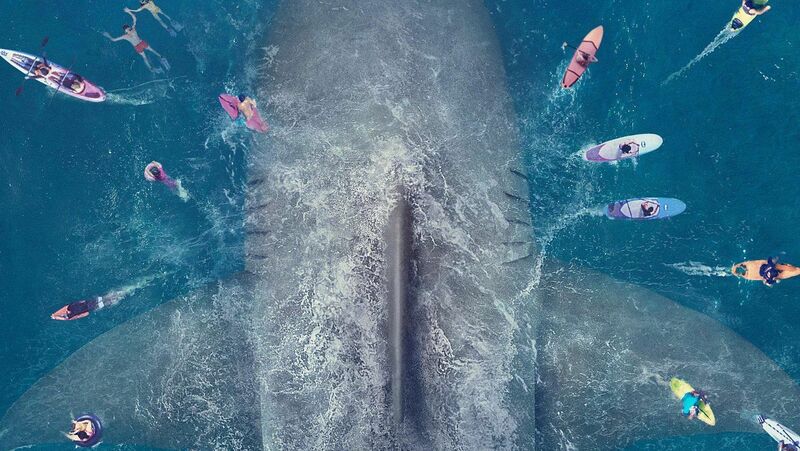 THE MEG opened this past weekend to the tune of $44.5 million with the overseas markets yet to come on stream. That's an impressive debut. Rottentomatoes.com critics has the movie at a 49% rotten rating while audiences gave it a 61%. Personally I liked it. I still haven't seen it in 3D yet (*GASP* I know right?! ), but I will in the coming week or so. I had to catch the flat version as it was the only screening at the time and I was on a tight schedule. I'm really looking forward to seeing some of those action scenes in 3D because I think they nailed it. Some excellent editing really brings the Meg into your lap - even in 2D. China played a large part in the making of the movie (very evident from the credits and content) and should open amazingly well in that country. Seriously. AMAZINGLY well. And that's a good thing for Warner Bros. - THE MEG cost $130m to make. I think Shark Week on the Discovery Channel helped the cause - they even had a show entitled "Megalodon: Fact vs. Fiction" to help feed the frenzy. You know, we should look into using old dino-DNA to bring back Meg. I mean, what could go wrong? THE MEG is now playing. Labels: 2018, 3D conversion, box office, Domestic Box Office, Jason Statham, The Meg, Warner Bros.
Jason Mamoa doesn't need any help! Are you kidding me? C'mon. And director James Wan agrees. Usually these days, superhero movies will bring in a supporting cast to borrow their star power for the movie obviously, but also to build excitement for the universe and any ensemble movies - like JUSTICE LEAGUE. But AQUAMAN will face Black Manta and King Orm without Batman, Superman, et al. Says Wan: "I wanted to keep the story to the world of AQUAMAN and not have to worry about what other characters are doing in their films and how that would affect us. I just thought the simplest way was to keep it clean — keep it simple and let it be an AQUAMAN story." He continues: "I told them I understand and respect that it’s part of a bigger universe but at the end of the day I have to tell the story I want to tell, and I want to develop the character as well. It was something the studio was respectful about… in my movie he starts off one way and becomes very different by the end. It’s a classic hero’s journey. I equate our story to The Sword and the Stone, it’s a very Arthurian story about a journey to becoming king." Perfect! This is a pure James Wan movie. Exactly what I was hoping for - bring it! Of course, post credit scenes weren't discussed. Sooooo... there's that. Potentially there will be some JUSTICE LEAGUE influence after all. From Warner Bros. Pictures and director James Wan comes an action-packed adventure that spans the vast, visually breathtaking underwater world of the seven seas, AQUAMAN starring Jason Momoa in the title role. 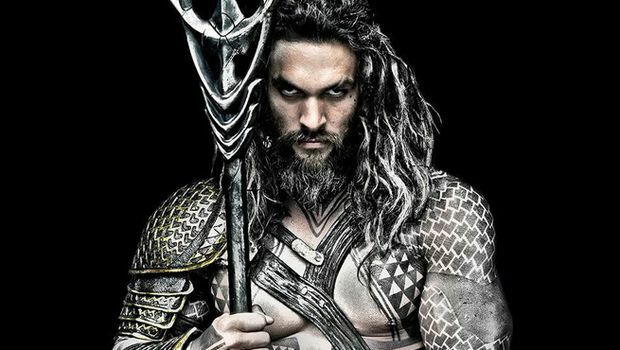 The film reveals the origin story of half-human, half-Atlantean Arthur Curry and takes him on the journey of his lifetime—one that will not only force him to face who he really is, but to discover if he is worthy of who he was born to be... a king. The film also stars Amber Heard ("Justice League," "Magic Mike XXL") as Mera, a firece warrior and Aquaman's ally throughout his journey; Oscarnominee Willem Dafoe ("Platoon," "Spider-Man 2") as Vulko, council to the Atlantean throne; Patrick Wilson ("The Conjuring" films, "Watchmen") as Orm/Ocean Master, the present King of Atlantis; Dolph Lundgren ("The Expendables" films) as Nereus, King of the Atlantean tribe Xebel; Yahya Abdul-Mateen II (upcoming "Baywatch," "Netflix's The Get Down") as the vengeful Black Manta; and Oscar winner Nicole Kidman ("The Hours" "Lion") as Arthrur's mom, Atlanna; as well as Ludi Lin ("Power Rangers") as Captain Murk, Atlantean Commando; and Temuera Morrison ("Star Wars: Episode II - Attack of the Clones," "Green Lantern") as Arthur's dad, Tom Curry. Wan directs from a screenplay by David Leslie Johnson-McGoldrick ("The Conjuring 2") and Will Beall ("Gangstar Squad," TV's "Training Day"), story by Geoff Johns and James Wan and Will Beal, based on characters from DC, Aquaman created by Paul Norris and Mort Weisnger. the film is produced by Peter Safran and Rob Cowan, with Deborah Snyder, Zack Snyder, Jon Berg, Geoff Johns and Walter Hamada serving as executive producers. Wan's team behind the scenes includes such frequent collaborators as Oscar-nominated director of photography Don Burgess ("The Conjuring 2," "Forrest Gump"), his five-time editor Kirk Morri ("The Conjuring" films, "Furious 7," the "Insidious" films), and production designer Bill Brzeski ("Furious 7"). They are joined by costume designer Kym Barrett ("The Matrix" trilogy, "The Amazing Spider-Man") and composer Rupert Gregson-Williams ("Wonder Woman"). AQUAMAN opens in theaters on December 21 in IMAX 3D, 3D and flat. Labels: 2018, 3D conversion, Aquaman, Casting, James Wan, Jason Momoa, Warner Bros.
Is MISSION: IMPOSSIBLE - FALLOUT The Best Movie Of The Summer? YES! Wow. I saw MISSION: IMPOSSIBLE - FALLOUT last Friday and it was amazing! The action is impeccably done and the movie is peppered with it. With Tom Cruise front and center performing his stunts! FALLOUT has already secured the franchise record for opening weekend box office with $61m ($156m worldwide). It should be well over $200m domestically for the run. Rotten Tomatoes still has the movie pegged at 97% fresh! For me, when Ethan Hunt has a love interest involved in the story, everything is amped up a bit more. Definitely applies here. FALLOUT delivers. The stakes are extremely high and I'm caring about the characters. The 3D conversion was also impeccably done, led by a friend of mine, Corey Turner over at Paramount. The depth was dialed up when it was needed with some very cool tracking shots close to the ground that showed me this movie is nailing it. And the aerial 3D shots? Hold your breath! Plenty of time for the eyes to rest too. Congrats Corey! Next up for Corey is BUMBLEBEE, slated for a December 21 release. As usual, awesome credits and musical score. 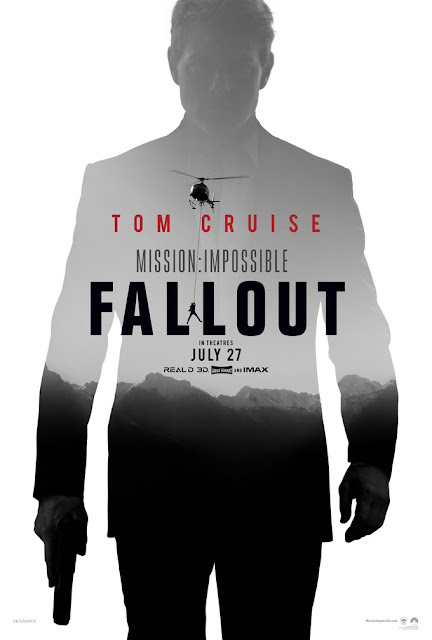 Look, if you enjoy spy movies, plots where YOU HAVE TO PAY ATTENTION, characters to care about and technically proficient delivery, go see MISSION: IMPOSSIBLE - FALLOUT. It's the summer's best movie. Seriously. MISSION: IMPOSSIBLE - FALLOUT is now playing. **UPDATED: Check out the trailer and QandA below!! I've been waiting for a LONG time for this movie and finally, we have the first trailer to take in! Today at 11am Eastern, James Cameron, Robert Rodriguez, Jon Landau and Rosa Salazar will be hosting the trailer on Facebook (https://www.facebook.com/AlitaMovie), as well as a question and answer session. The movie also stars Jennifer Connelly, Mahershala Ali, Jackie Earle Haley, and Ed Skrein. Set your calendar so you don't miss it! ALITA: BATTLE ANGEL opens on December 21. It's on! 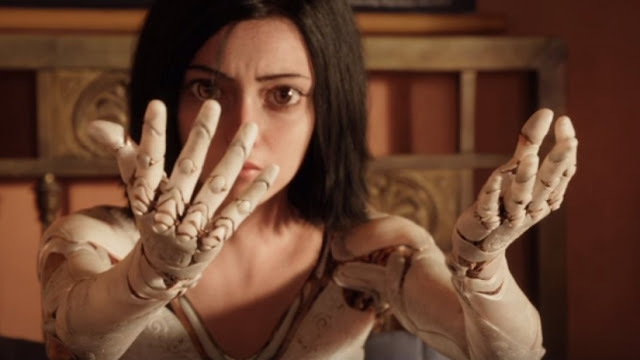 If you're headed to San Diego's Comic-Con you may have an opportunity to see James Cameron's and Robert Rodriguez's ALITA: BATTLE ANGEL!... if you successfully complete a scavenger hunt in time (only 100 tickets up for grabs) to win tickets to the event. The hunt involves visiting 6 booths at Comic-Con (Loot Crate, Sideshow (Prime 1), Sideshow (Hot Toys), Weta Workshop, Titan Entertainment, Funko) to collect stickers. Note that the event will not be at the Con, but instead at the Regal Theater Horton Plaza (this Friday, July 20). Ok, it's a sneak peek, but there will be questions and answers with some cast members (Rosa Salazar and Keean Johnson), Rodriguez and producer Jon Landau. Says Landau: "What makes it special is that it has the trademarks of a typical James Cameron movie. It has a strong female protagonist with universal themes. Alita as a character goes on a journey of self-discovery. She thinks of herself as an insignificant girl. Through her journey, she comes to realize that within her is the ability to make a difference. I can think of no greater universal message today." The QandA is worth the effort alone, but of course, the sneak peek is sure to blow the roof off of the theater. Wish I was going this year! If you are going and feel up to the challenge - good luck! ALITA: BATTLE ANGEL is slated for release on December 21, 2018.